to issue a bond over a blockchain system, possibly as soon as next year. Though few details were revealed, Sophie Gilder, CommBank's head of blockchain, said that the bond would be transferred and paid for over a blockchain-based system in collaboration with an unnamed major world issuer, according to ZDNet report. 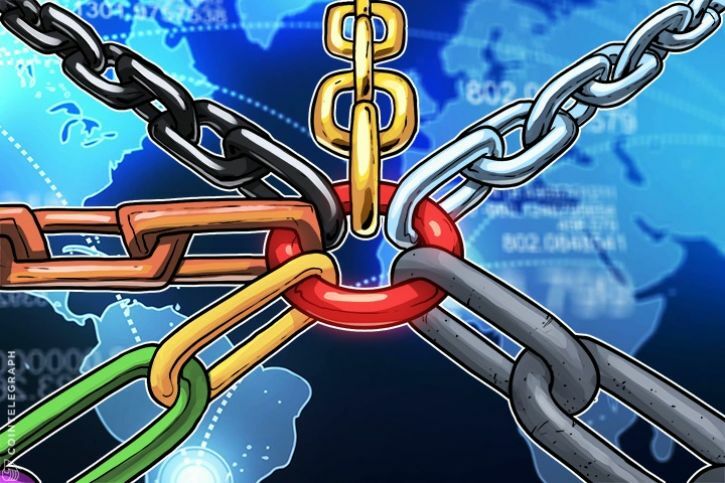 In comments made during the GMIC Sydney conference Tuesday, Gilder said that bank has been exploring blockchain use cases for more than four years and has completed 25 proofs-of-concept and trials aimed to address real-world business issues. CommBank, she continued, is eyeing the technology for equities, bonds, syndicated loans and other applications where it considers there are high levels of "friction." "We think the platform we have built can make this more efficient." Earlier this year, as reported by CoinDesk, CommBank announced that it is developing a blockchain-based system for the sale of government bonds. The concept was tested by the Queensland Treasury Corporation, which acts as the Australian state’s central financing authority. Other institutions are also moving to adopt blockchain technology for bond issuance. This October, Russia's National Securities Depository said it had issued its first-ever live bond using blockchain. The financial instrument, a $10-million bond for shares in Russian telecom giant MegaFon, used smart contracts and the open-source Hyperledger Fabric blockchain. And, in late 2016, French bank BNP also announced that it was exploring the technology for use in distributing instruments known as "mini-bonds." is critical to human functioning. This reality means millions, even billions, of users coalescing around internet search. Information dependency has created an impossibly rich online concentration of potential prospects. Businesses cannot ignore search engine marketing and digital advertising. They have to be where people are. Now, the primary objective of a search engine is simple: deliver trustworthy, authoritative and timely information in response to a query. As searchers query, click and learn, they naturally interact with businesses. These interactions can be enriching to both sides. Consumers want answers to questions, while businesses want to provide solutions to problems they are positioned to solve. When working, it’s a virtuous cycle of meaningful digital engagement at scale. Unfortunately, because of the outsized influence had by search engine platforms and their advertising network intermediaries, the experience is rarely this idyllic. "Assume you know little about wine but you are nevertheless interested to purchase some good quality wine online. … But how can you search about something you do not really know much about? … Unfortunately, as any search will show, what you end up getting are results based mostly on popularity and semantic context. The little-known wine producer in Italy with the right wine for you has no hope of ever reaching you with his digital content if you just type 'red wine' in the online search field. … What you are most likely to get from any agnostic query are results from those who had a big budget to spend on digital marketing. In other words, the global digital media landscape today is a very uneven field that favors the rich and powerful." Consumers lose in a search environment unduly influenced by spend. They contribute valuable, actionable data with every click but don’t reap any reward from this contribution. Nor are they sure about the efficacy of the results they browse. For businesses — even those with big budgets — the situation is perhaps bleaker. For every dollar of digital advertising spent last year, $0.40 went to Google and $0.37 went to Facebook. Literally, every other participant on the world’s most ubiquitous online social channels (think: Snapchat, Twitter, Amazon) battle for leftovers. The utter non-competitiveness does little to promote transparency and innovation or return control to advertisers and consumers. Jeremy Epstein, CEO of the blockchain marketing company Never Stop Marketing, recalls the conversation he had with Stacy Huggins, CMO of MadHive. According to her, for every $1 you invest in digital advertising, you only get $.44 of value. For years, these advertisers’ efforts to secure authentic, valuable connections with consumers have been stymied. Opaque data, convoluted campaign terms and fuzzy metrics are inhibitors. Nineteenth-century retailer John Wanamaker’s iconic line, “Half the money I spend on advertising is wasted; the trouble is I don't know which half” represents a fundamental question about digital ads altogether. It represents the growing unease about dubious tactics and tepid returns offered by leading search engines. At BitClave, we’re solving the problem from both the consumer and business side. We believe mutually incentivizing and establishing a direct connection between businesses and customers is the paradigm shift the search and advertising vertical needs. Principally, customers find what they are looking for and businesses provide the right offer to the right question from the right consumer. Within the ecosystem, these interactions are managed in a decentralized way, leveraging the security and immutability of blockchain. As user information is generated, businesses enjoy precise levels of user targeting, maximizing ROI on advertising spend, regaining campaign control and answering search queries. Customer and retail activity information gets stored on the decentralized ledger. This satisfies users’ desire for relevant search results while driving a safer, more efficient transactional experience. In the U.S., digital ad spend is expected to be $83 billion in 2017. Of this, roughly $37 billion will be from search. As Google and Facebook’s stranglehold tightens, sub-optimal experiences for users and advertisers will continue. These middlemen have moved from simply owning the platforms for search and commerce to meddling in the actual engagements. They are dictating results and using this influence, in the form of ad placements and click-through rate performance, for exorbitant gain. The too-big-to-fail search and advertising middle should be accountable. Their currency is data and dollars — the very things that consumers and advertisers provide. Irritation is growing among consumers and advertisers alike. AdBlockers app downloads are surging. The vagaries of digital ad ROI have spurred blockchain-based companies bent on disrupting the vertical — and conditions are changing. is an open protocol that uses blockchain technology to improve the digital ad supply chain and prevent ad fraud. is the world’s first exchange to trade advertising contracts. Developed in partnership with Nasdaq, NYIAX enables publishers and advertisers to buy, sell and re-trade high-quality advertising inventory with its financial matching engine. offers programmatic advertising in a decentralized, peer-to-peer marketplace. The platform brings together publishers and advertisers by cutting out the middleman. Our conviction is that mechanisms to deliver value to buyers and sellers, not middlemen, need to be at the center of search.For years, these advertisers’ efforts to secure authentic, valuable connections with consumers have been stymied. Opaque data, convoluted campaign terms and fuzzy metrics are inhibitors. Nineteenth-century retailer John Wanamaker’s iconic line, “Half the money I spend on advertising is wasted; the trouble is I don't know which half” represents a fundamental question about digital ads altogether. It represents the growing unease about dubious tactics and tepid returns offered by leading search engines. At BitClave, we’re solving the problem from both the consumer and business side. We believe mutually incentivizing and establishing a direct connection between businesses and customers is the paradigm shift the search and advertising vertical needs. Principally, customers find what they are looking for and businesses provide the right offer to the right question from the right consumer. Within the ecosystem, these interactions are managed in a decentralized way, leveraging the security and immutability of blockchain. As user information is generated, businesses enjoy precise levels of user targeting, maximizing ROI on advertising spend, regaining campaign control and answering search queries. Customer and retail activity information gets stored on the decentralized ledger. This satisfies users’ desire for relevant search results while driving a safer, more efficient transactional experience. Cryptocurrency offerings are no longer a regulation-free zone. A diagram on the PlexCoin website illustrates the cryptocurrency's revolutionary architecture. The Securities and Exchange Commission on Monday announced that it was taking action against an initial coin offering (ICO) that the SEC alleges is fraudulent. The announcement represents the first enforcement action by the SEC's recently created cyber fraud unit. In recent months, the SEC has been wrestling with what to do about ICOs. US securities laws impose a number of requirements on anyone who offers new investments to the public. ICOs—in which a company offers the public cryptocurrencies that could appreciate in value the way Bitcoin has—look a lot like securities offerings. But most ICOs have ignored the SEC's requirements. At the same time, the SEC is aware that new cryptocurrencies could become an important source of innovation. And some experts argue that many new cryptocurrencies—those that serve a useful function beyond their potential to grow in value over time—are not securities, legally speaking. So the SEC has proceeded cautiously. In July, the agency fired a warning shot. It announced that a 2016 fundraising campaign had run afoul of securities law, but that the SEC would decline to prosecute those responsible. The hope was to get the cryptocurrency world to take securities laws more seriously without doing anything drastic. Now the SEC is taking the next step by prosecuting what it considers to be one of the most egregious scams in the ICO world. The SEC's complaint, filed in federal court in New York, is against Dominic Lacroix, whom the SEC describes as a "recidivist securities law violator." The SEC considers Lacroix's cryptocurrency project, PlexCoin, to be a "fast-moving Initial Coin Offering (ICO) fraud that raised up to $15 million from thousands of investors since August by falsely promising a 13-fold profit in less than a month." The PlexCoin website has a hilariously vague description of this supposedly revolutionary cryptocurrency. "The PlexCoin's new revolutionary operating structure is safer and much easier to use than any other current cryptocurrency," the site proclaims. "One of the many features of PlexBank will be to secure your cryptocurrency from market variation, which is highly volatile, and invest your money in a place where you can get interesting guaranteed returns." The company claims that it's working on a PlexCard to allow people to spend their PlexCoin balances. h your PlexCard will guarantee you a perfect interbank exchange rate without fees," the site claims. The SEC isn't impressed and is arguing that PlexCoin has "all of the characteristics of a full-fledged cyber scam." The agency is seeking to freeze the assets of the PlexCoin project in hopes of getting investors' funds back to them. Most ICOs are not outright scams, as the SEC alleges in this case. Still, the action will give many other ICO sponsors pause. Securities law goes well beyond combatting scams. Offering securities to the public without following SEC rules can get people in a heap of trouble. The SEC started with PlexCoin, but its enforcement of securities laws probably won't end there. to let you buy, sell, trade, and hold Bitcoin, Litecoin, and Ether alongside 25 world fiat currencies. The $90 million-funded mobile banking startup is trying to erase the divide between old and new money. Revolut‘s CEO Nikolay Storonsky announced on stage today at TechCrunch’s Disrupt Berlin conference that cryptocurrency trading will open to all Revolut users on Thursday. If you’re spending money through Revolut’s debit card and run out of fiat currency, it will automatically convert the necessary amount of cryptocurrency to fiat to fund your transaction. “Despite being one of the hottest trends in the world right now, getting exposure to cryptocurrency has notoriously been time-consuming and expensive,” Storonsky writes. 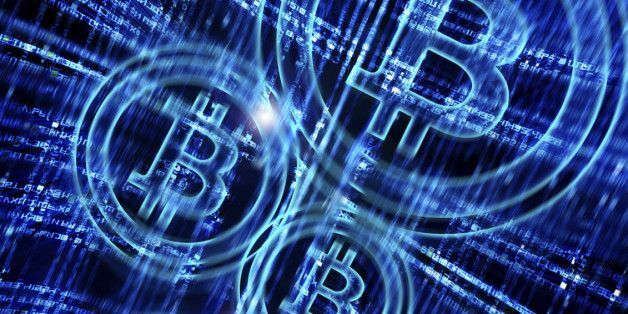 The move comes as cryptocurrency becomes increasingly legitimate in the eyes of the world, following bitcoin blowing past $10,000 per coin, and traditional futures exchanges preparing to allow bitcoin futures trading this month. While cryptocurrency could be seen as a niche distraction from Revolut’s core business, but Storonsky feels that crypto is going mainstream and will quickly become a critical part of all banking. He cited that during Revolut’s week-long crypto beta test, 10,000 customers traded $1 million in cryptocurrency. In just two years, Revolut has signed up over 1,000,000 users in Europe and processed 42 million transactions, and claims to have saved customers $160 million in foreign exchange fees. It’s growing fast, doubling the rate of new customer sign-ups versus three months ago. While there are plenty of players in the modernized debit card market like N26 and Monzo, Revolut also lets you send up to €5,000 per month in 16 currencies without any fee. As these startups jockey for position, they’re all searching for differentiators. Embracing cryptocurrency could lure fintech early adopters to Revolut. 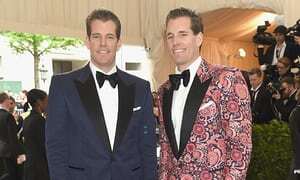 Tyler and CameronWinkelvoss have won big on bitcoin. And did he? Steal the idea, I mean? Oh, God, that’s just too complicated to get into. The Winklevii launched numerous lawsuits about it, and got about $65m (£48m) worth of Facebook stock, which wasn’t much at the time. Oh, yeah. Sure. These guys probably spend $65m on lunch. In fact, they spent $11m of it on bitcoin, so they’ve probably cheered up a bit.Bitcoin. There’s a word I don’t understand. It’s a crypto-currency. There’s another one. Think of it as an electronic token, which can be owned and traded. Like normal money, it has value because other people consider it valuable. The number of bitcoins in circulation is strictly controlled by a clever bit of software that nobody can hack, called the blockchain. The EU is taking action to regulate trading in bitcoin. 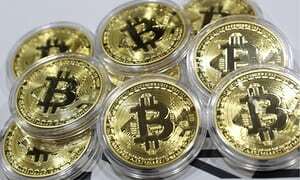 The UK and other EU governments are planning a crackdown on bitcoin amid growing concerns that the digital currency is being used for money laundering and tax evasion. 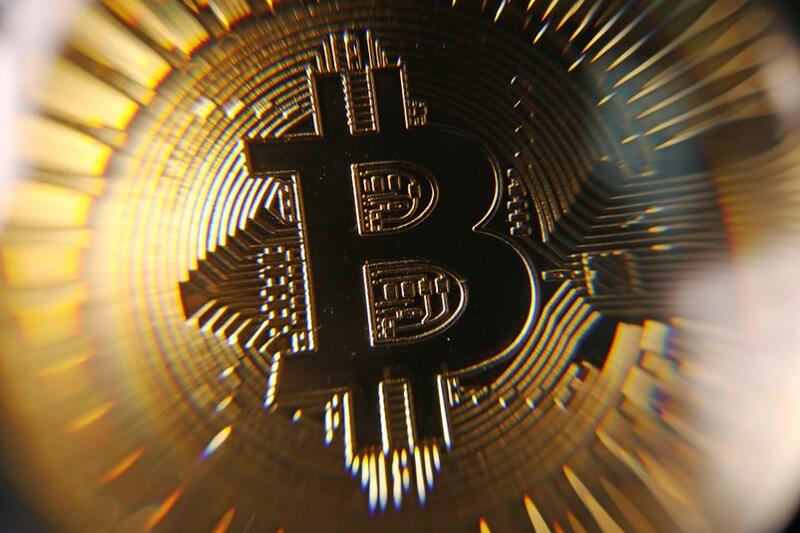 The Treasury plans to regulate bitcoin and other cryptocurrencies to bring them in line with anti-money laundering and counter-terrorism financial legislation. Traders will be forced to disclose their identities, ending the anonymity that has made the currency attractive for drug dealing and other illegal activities. The rules are expected to come into effect in the next few months. 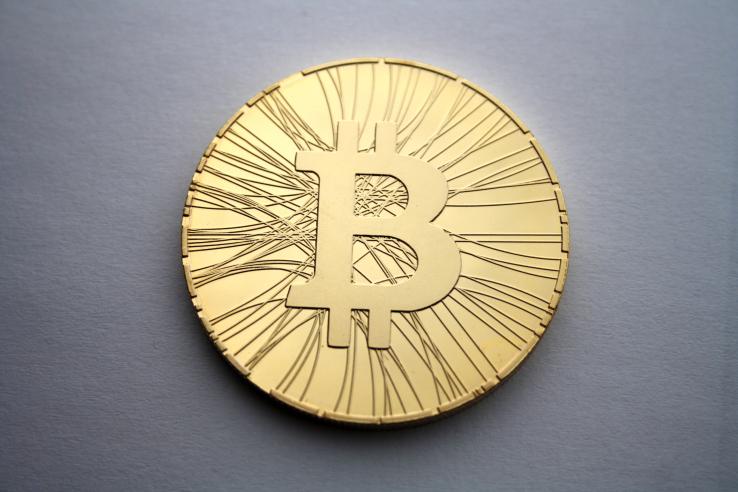 The Treasury said digital currencies could be used to enable and facilitate cybercrime. 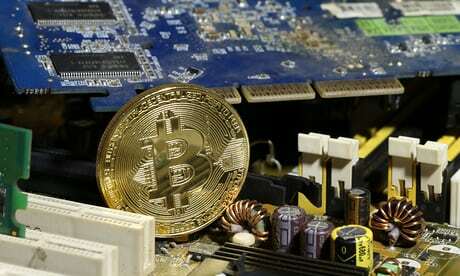 It added: “There is little current evidence of them being used to launder money, though this risk is expected to grow.” The bosses of Goldman Sachs and JP Morgan have criticised bitcoin as a vehicle to commit fraud and other crimes. But Sir Jon Cunliffe, a deputy governor of the Bank of England, last week said the digital currency was too small to pose a systemic threat to the global economy. He also cautioned that bitcoin investors needed “to do their homework”. … we have a small favour to ask. More people are reading the Guardian than ever but advertising revenues across the media are falling fast. And unlike many news organisations, we haven’t put up a paywall – we want to keep our journalism as open as we can. So you can see why we need to ask for your help. The Guardian’s independent, investigative journalism takes a lot of time, money and hard work to produce. But we do it because we believe our perspective matters – because it might well be your perspective, too. High-quality journalism is essential intellectual nourishment. The generosity of providing such a service without a paywall deserves recognition and support. an older but lesser known attempt to overcome the restrictions inherent in ethereum is getting a refresh. Revealed in an exclusive interview with CoinDesk, a new TrueBit protocol is being released this December, one that removes the ethereum "gas limit," which today puts an upper-bound on the number of computations the network can achieve, bringing the second largest blockchain by market capitalization closer to its oft-touted goal of becoming a "world computer." While TrueBit is one of many in-progress scaling solutions being engineered for the ethereum platform – working alongside mechanisms such as sharding, state channels and Raiden – it distinguishes itself by focusing on the computational power of the network at large, instead of just transaction speed. 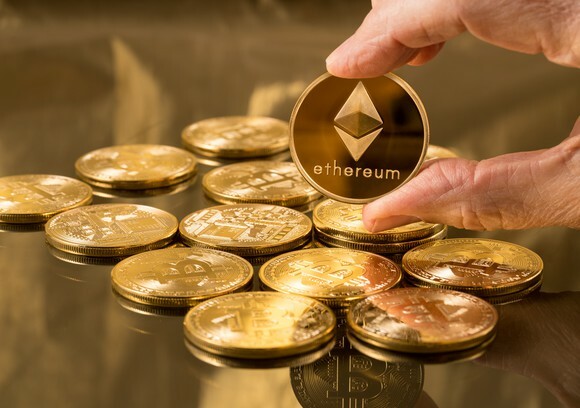 Geared specifically towards heavy computations, such as those video broadcasting and machine learning would require, TrueBit could resolve the fact that ethereum is still about as fast as a "smartphone from 1999," as ethereum creator Vitalik Buterin joked last year. "When so many people have eyes on the papers, over time, you get more and more confident that it's correct, but it's always an ongoing process for these things that are living systems… Now, we go another layer down the protocol rabbit hole, it's this iterative process of getting deeper and deeper into this." And going deeper led the devs to the incentive mechanism used in the protocol. TrueBit aims to remove the gas limit on ethereum by moving computations off-chain – outsourcing them to an external marketplace that rewards participants for solving and verifying the computations. Within the marketplace "task givers" pay "verifiers" to solve computations in exchange for rewards, while "validators" check that the computations are correct. To make sure everyone runs effectively, Truebit relies on an incentive scheme dubbed the "forced errors jackpot," which ensures validators are actively checking for correctness by requiring verifiers to occasionally submit incorrect information. If a validator finds these forced errors, they're rewarded with a substantial payout: the "jackpot." But according to Lawrence, that process can be a lot less complicated. Within the new protocol, instead of limiting the participants' tasks, everyone can participate openly. Those that verify correct computations still get paid, but if another participant finds an error, they can submit what they believe the computation should be and enter that into the verification game. All the potential answers are then pooled together until a consensus is reached. Because that verification pool is costly to participants, the protocol incentivizes them to work together honestly so disputes do not occur, since the reaching consensus within that verification pool would be costly for everyone. Not only does this iteration eliminate the security flaws pointed out when the amendment was released, but it's also easier to implement and could increase the number of computations participants are willing to perform since it eliminates the once-every-so-often jackpot, Lawrence told CoinDesk. Still, the new protocol may not be the last step in evolving TrueBit to achieve optimum efficiency. Teutsch explained that both versions of the protocol will still hit against eventual limits when it comes to massive computations. If, for example, verification takes too long or gets too expensive, those who notice errors might be inclined to keep quiet, and just let them go. "Remember that the verification game is really slow compared to native computation, so my concern expressed here is more than just theoretical," he said. Plus, because TrueBit is a protocol built on game theory (rather than relying on more familiar security auditing processes), Teutsch said, its "security is an observational science," in which devs try to put themselves in every position an attacker might be in. Because of this, Teutsch said the developers may decide to run both the original protocol (now internally nicknamed TrueBit Classic) and the new protocol in parallel for better security. "Full confidence happens once you have all the money in the world behind it, and it's sat there for a few years." 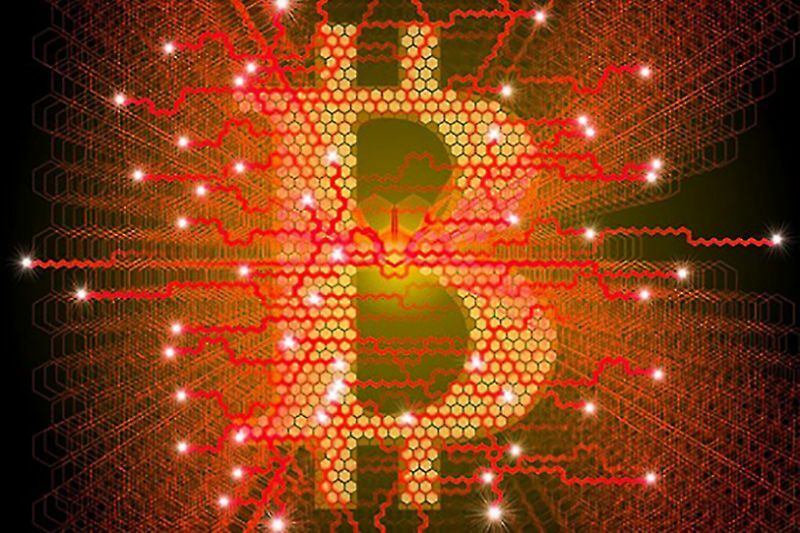 an interest in blockchain – the distributed ledger technology behind cryptocurrencies like bitcoin – for tracking criminals hiding illegal money from banks. But that's changing as some civilian, police and military agencies see blockchain as a potential solution to problems they have wrestled with for years: how to secure data, but also be able to share it in a way that lets the owner keep control. Australia, for example, has recently hired HoustonKemp, a Singapore-based consultancy, to build a blockchain-based system to record intelligence created by investigators and others, and improve the way important information is shared. "They've been trying for years to come up with a centralised platform, but people are reluctant to share information," said Adrian Kemp, who runs the consultancy, which was awarded a A$1 million ($757,500) grant by AUSTRAC, Australia's financial intelligence agency, and the Australian Criminal Intelligence Commission. Blockchain's appeal for data sharing is threefold. Its ledger, or database, is not controlled by any single party and is spread across multiple computers, making it hard to break. Once entered, any information cannot be altered or tampered with. And, by using so-called smart contracts, the owner of information can easily tweak who has access to what. It's a sign of how far blockchain technology has come within a decade since the publication of a pseudonymous paper describing bitcoin and the blockchain ledger that would record transactions in it. Bitcoin has since become the preferred currency not only of libertarians and speculators, but also of criminal hackers. The bitcoin price is volatile, and hit record peaks late last month. Governments are already exploring ways to store some data, such as land records, contracts and assets, in blockchains, and the financial industry, too, has experimented with blockchain technologies to streamline transactions and back-office systems, though with limited success. The closest most law enforcement agencies have come to the blockchain has been working with start-up firms to analyse it for evidence of criminal deals. But in the past year or so that attitude has begun to change. The United States Air Force (USAF) has funded research into how blockchain could ensure its data isn't changed. In May, the Defence Advanced Research Projects Agency (DARPA) awarded a grant to the company behind an encrypted chat program to make a secure messaging service based on the blockchain. Amendments to a recent U.S. Senate defense bill require the government to report back on "the potential offensive and defensive cyber applications of blockchain technology and other distributed database technologies" and how foreign governments, extremists and criminals might be using them. Britain, too, is exploring several uses of the blockchain, say consultants and companies working for several departments. Cambridge Consultants, a U.K.-based consultancy, said it had worked with the Defence Science and Technology Laboratory, a U.K. Ministry of Defence (MoD) agency, on using a blockchain to improve the trustworthiness of a network of sensors on, for example, security cameras. The UK's justice ministry is looking at proving that evidence – video, emails, documents – hasn't been tampered with by registering it all on a blockchain, according to a blog post on its website. Marcus Ralphs, a former soldier and now CEO of ByzGen Ltd, which makes blockchains for the security sector, said he was working on projects with the MoD using blockchain to track the status and level of individuals' security clearance. Other work included helping the Foreign and Commonwealth Office (FCO) improve the way work permits are issued and records stored. These are early days. Kemp says there's no guarantee his project will be deployed more widely. And some who have worked with AUSTRAC are skeptical, saying such projects have more to do with agencies turning to the private sector because they're running low on resources and ideas. "The government is just looking to pass the buck on to private industry," said Simon Smith, a cyber private investigator who has worked on cases involving AUSTRAC. Many police forces and armies aren't ready for the technological and mental leap necessary. The Police Foundation, a UK think-tank focusing on policing and crime, is pushing British police to explore the blockchain, but its director, Rick Muir, said "we are still at the stage of 'what is blockchain?'." Neil Barnas, a USAF major who last year wrote a thesis on the potential of blockchain in defense, said U.S. military and security agencies were slowly waking up. The problem, he says, is that military minds are more inclined towards centralized systems than the decentralised ones that blockchain's distributed ledger embraces. That said, blockchain's association with the criminal underworld has not dented its appeal to those who see its potential, said ByzGen's Ralphs. "The negative narrative around it has not at all watered down or diluted interest of the people we've been engaging with," he said. As such, it’s possible that the current run-up turns out to be “a blip on that chart.” To him, since the cryptocurrency ecosystem has grown to where it is today, there’s definitely a way for it to do down as well, but there’s also a path for it to reach trillions of dollars. Wenger added that he believes we’re still far from that, and that there will be set backs along the way. 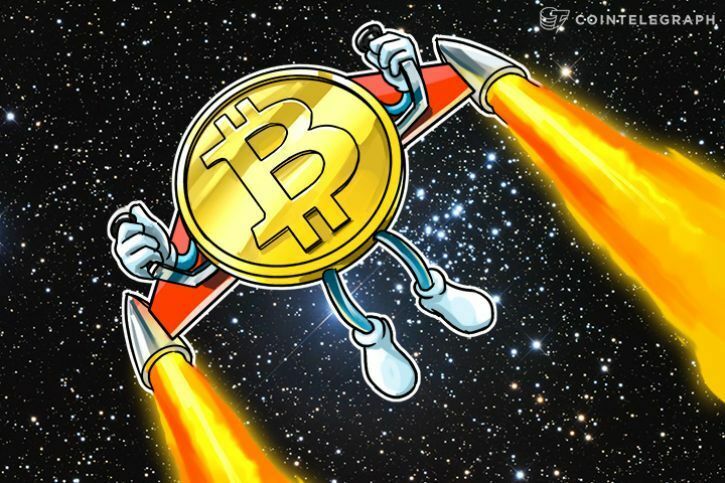 When asked if he believed cryptocurrencies were going through an “Amazon moment,” he clarified that they’re going through an “exuberant moment.” Regarding whether or not there’s a bubble, he stated that “at some point there’s a reset,” adding that using the word bubble implies it’s about to pop, something Wenger believes may or may not happen. To Wenger, all this irrational exuberance is a good thing for cryptocurrencies in the long run, as it brings investors and entrepreneurs to the space. Since cryptocurrencies are still a novelty, he added, we still need to try new things to see what works. Earlier this year, USV’s co-founder Fred Wilson dismissed potential bitcoin crash predictions, and explained the optimal cryptocurrency holdings for investors, according to their comfort levels. and Ethereum is bumping up against $500. But today's important cryptocurrencies might just be the loud and noisy open act to the really big deal of the next decade. That is, the end of cash as we know it. "All currencies will be digitized," Bitt founder and director Gabriel Abed said today at TechBeach retreat in Jamaica. "Cash has seen its days." National Cryptocurrencies? All Currencies Will Be Digitized, Cryptocurrency Expert Says. Bitcoin has burst through the $10,000 barrier and Ethereum is bumping up against $500. But today's important cryptocurrencies might just be the loud and noisy open act to the really big deal of the next decade. That is, the end of cash as we know it. "All currencies will be digitized," Bitt founder and director Gabriel Abed said today at TechBeach retreat in Jamaica. "Cash has seen its days." nd Abed spoke today on a panel addressing cryptocurrencies and blockchain along with other Carribean startups and banking infrastructure representatives, such as Justin Ram, the Director of Economics for the Caribbean Development Bank. "There’s a future coming that complete disrupts what we know today," Abed said. "I see a different future where central banks are issuing digital dollars … a new economic age of digital dollars." Cryptocurrencies like Bitcoin and Ethereum, and hundreds of others, typically are issued by private individuals, groups, or organizations, or mined via cryptographic protocols. Russia, however, among just a few other nations on the planet, has publicly announced plans for a national cryptocurrency: the CryptoRuble. China is working on a similar currency, as is Kyrgyzstan. At this moment, the U.S. Federal Reserve has no such plans — although, you'd have to think it would make quantitative easing much more simple. What's better about a national cryptocurrency? "A national cryptocurrency would be better," Abed says. "It's more efficient, more immutable, more transparent. "Bitt is talking to the Central Bank in Jamaica, Abed said, to potentially test technology like this, while the company is in active pilots in other Caribbean nations. Jamaica is doing what it can to enable fintech startups, said another panelist, in order to foster innovation. "I do not want to see a situation where the regulators have too heavy a hand initially," said Ram, from the Carribean Development Bank. 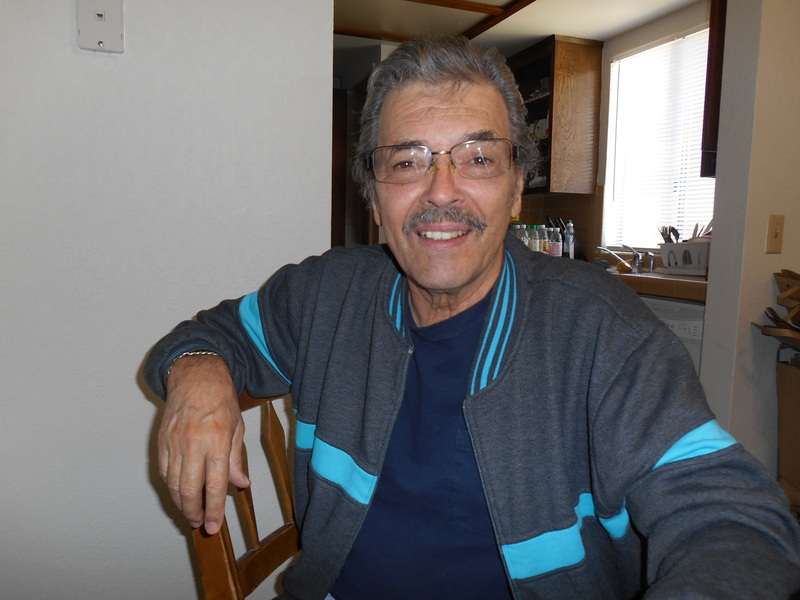 "We can utilize the Caribbean as a sandbox … and little “ays” can open big doors."